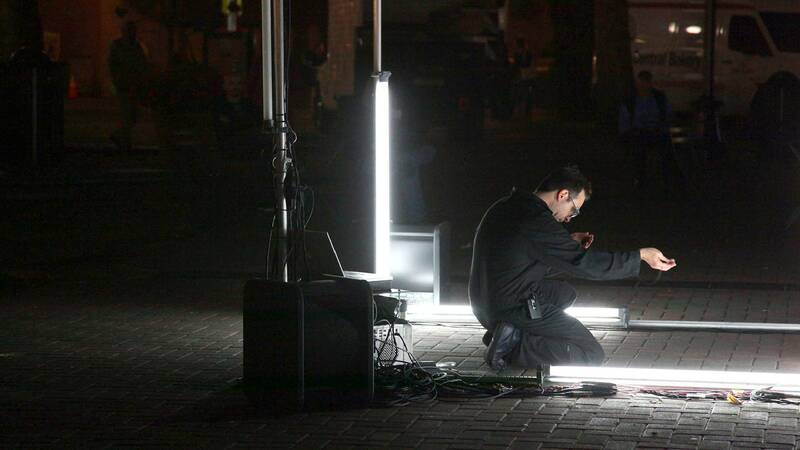 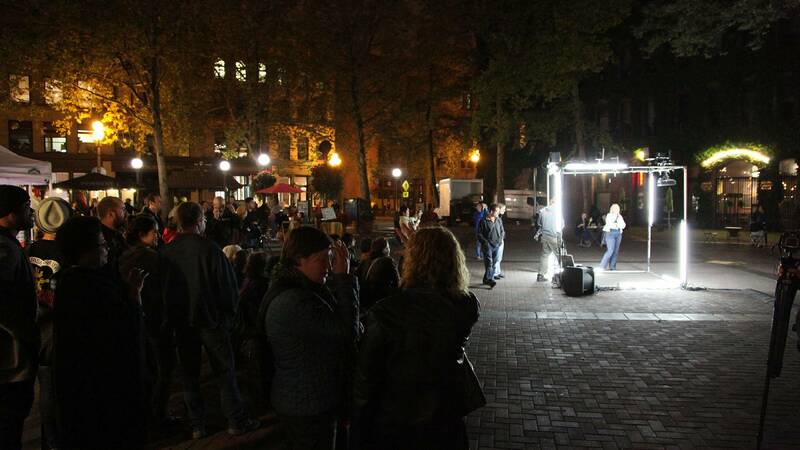 A Continuity of Parks is a two-hour live performance at dusk integrating sounds, echoes, and images of Seattle’s Occidental Park with real-time audio and video. 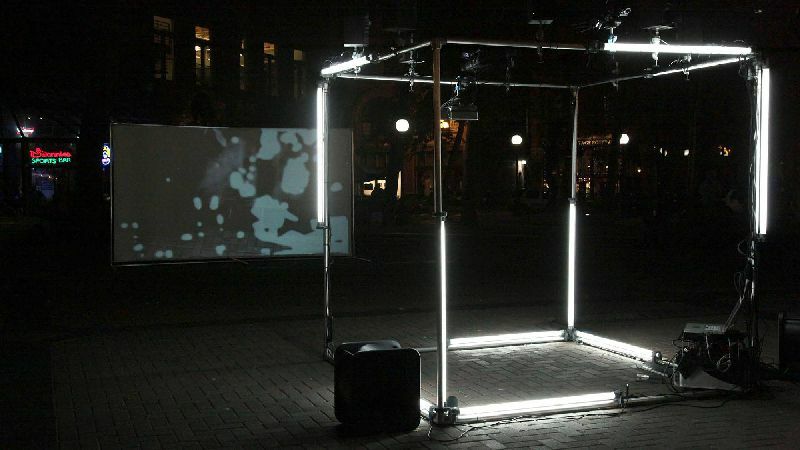 As in Cortázar’s short story, the audience is led from the perspective of a peripheral observer to becoming enmeshed in a process of perpetual observation, self-reflection, and re-interpretation. Passersby become performers and the city becomes the stage of an evolving memory system with traces of its peripatetic imagination gathered and re-presented throughout the course of the evening. 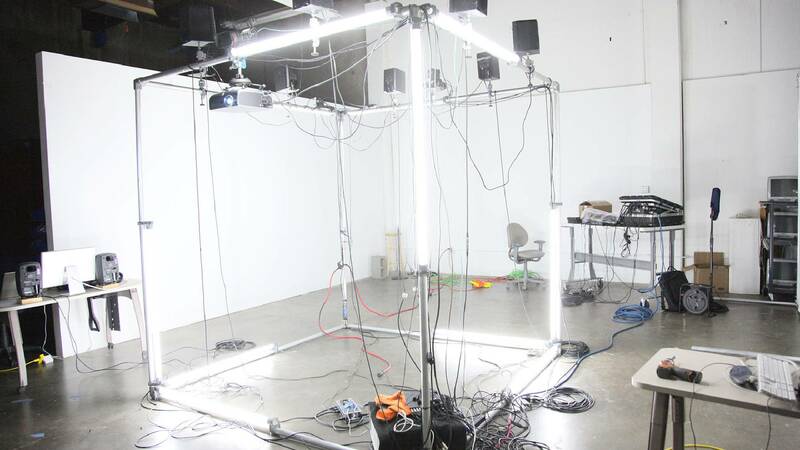 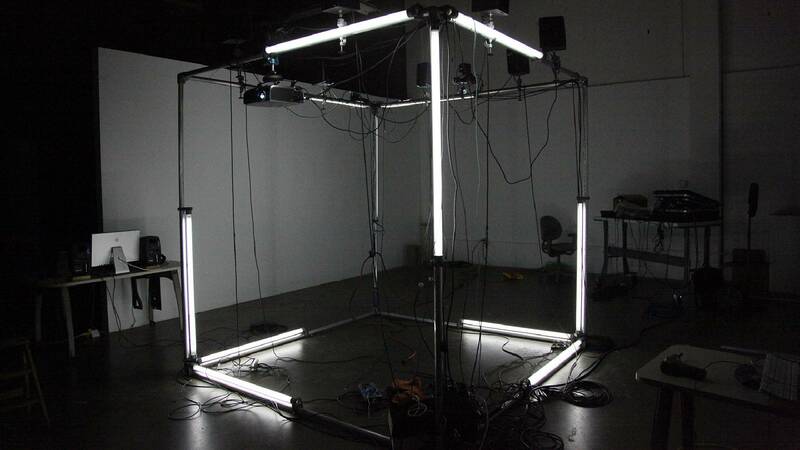 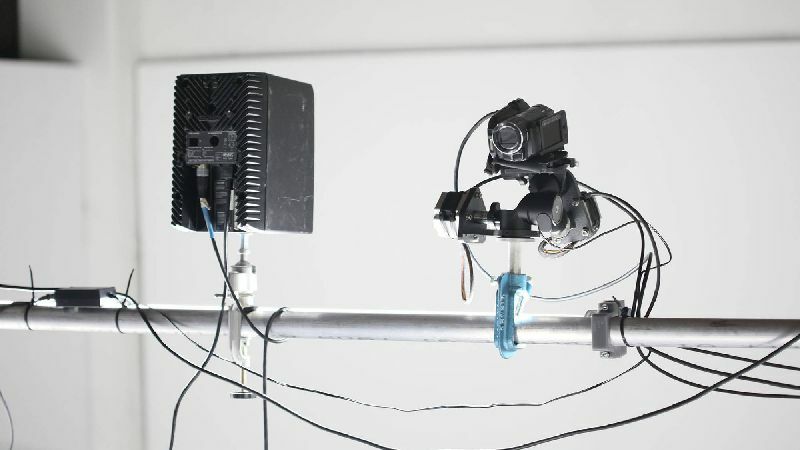 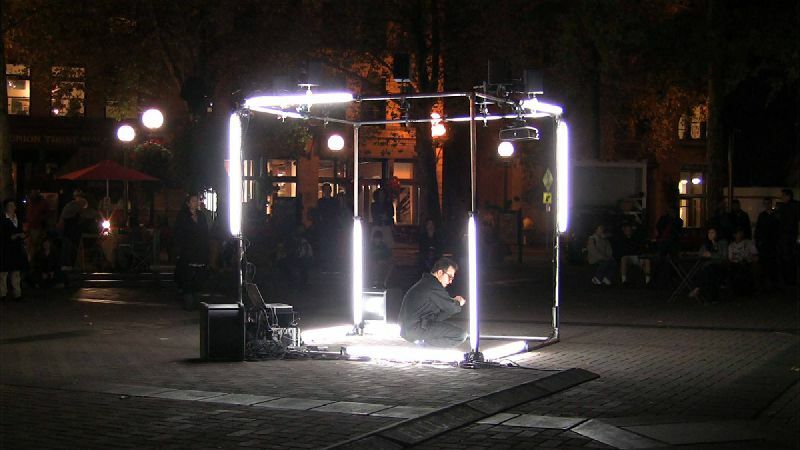 Operating from a portable workstation located centrally in the park, the artists conduct live cameras and audio-feedback within a network of speakers, microphones, and large-scale video projection to create an experience of pure light, color, movement, and sound.